La Vendemmia Wines is an Italian Wine Importer supplying the finest vintages from the vineyards of several wine producing regions in Italy. 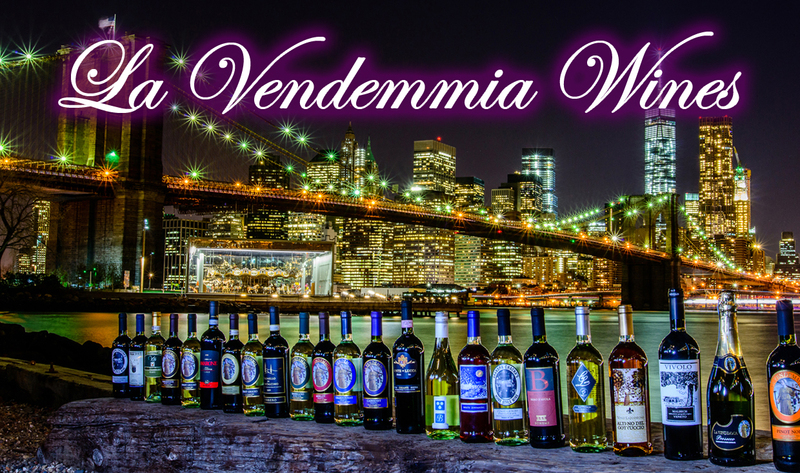 As a wine wholesaler and distributor, La Vendemmia Wines delivers wine by the case, the pallet and the truckload and distributes them to restaurants, specialty wine stores and liquor stores in the New York and New Jersey Region. As a wine distributor, we strive to offer our customers several varieties of wine, which are pleasing to the palate, aromatic and flavorful to the consumer. Our wines have been featured at several well known wine tasting's, television programs and celebrity events. Italian wines are known for a variety of tastes from the white wines, red wines, Merlots, ranging from a young simplistic taste to the aged and complex with a depth of rich flavor. La Vendemmia Wines are bottled and imported from Botter Wines of Italy, a 3rd generation family operated vineyards which are blessed with the Mediterranean climate and sunshine, fertile alluvial soil of the wine making regions of Veneto and Friuli regions of Italy. The Botter family's dedication to maintaining a high quality has earned them several Gold Medals in Vineyard production. In 1996 Dennis and Kathy Pinto partnered up with long time friends Lindsay and Roe Piazza to form the infamous “La Vendemmia Wines” to import Italian wines direct from the vineyards of northern Italy. For over 21 years, La Vendemmia Wines has consistently serviced over 500 restaurants, bars, taverns and wine specialty shops in all 5 boroughs of New York City, Long Island and Westchester County. As to date, La Vendemmia Wine offers an assortment of 34 varieties of exclusive wine, from the only White Zinfandel, known as ‘Bluestone', to our Gold Medal Winning “Prosecco” and “Grandpa Cha Cha's Home Style Wine” which until now was a highly guarded family secret recipe. La Vendemmia Wine employs their own personal Sommelier or wine steward, who is responsible for selecting all La Vendemmia wines, Reds & Whites. He is highly trained in all aspects of wine vintages, to knowing which wine will complement a particular food selection so it will work in harmony pleasing the palate. © Copyright 2016 La Vendemmia Wines. All rights reserved.